One of the biggest deterrents for enacting brand protection in a business is the preconceived notion of “big” cost involved. Many organizations feel they can’t afford the expenses associated with protecting their brand against infringement and other maintenance insurance. The truth of the matter is, you can’t afford not to have it. Fact: nobody can be everywhere at once. The same can be said for any insurance or team of investigators in your arsenal. You’ll be able to make the most impact by tackling where you experience problems most frequently. Is it online websites, social media, diversion efforts, cybersquatting or port issues that you’ve found majority of your counterfeit or fraud cases arise? Once you find that out, concentrate your efforts primarily there – and you’ll be able to start making traction. Make sure you have prior data to prove this, so you can adequately fuel your efforts internally. While pinpointing issues is important, you can’t take the right steps without knowing where your current shortcomings are. Without the right key performance indicators (KPIs), you’ll be floundering and won’t be able to make data-driven decisions. Within the last decade, technology has enabled organizations to store their cases within software that’s permission-based, audit-friendly, and allows you to pull any necessary reports and data instantaneously. This removes the worry of record keeping, or not knowing the status of a case. Not only that, but it’s a central repository of information that validates your brand protection program’s efforts and proves ROI. 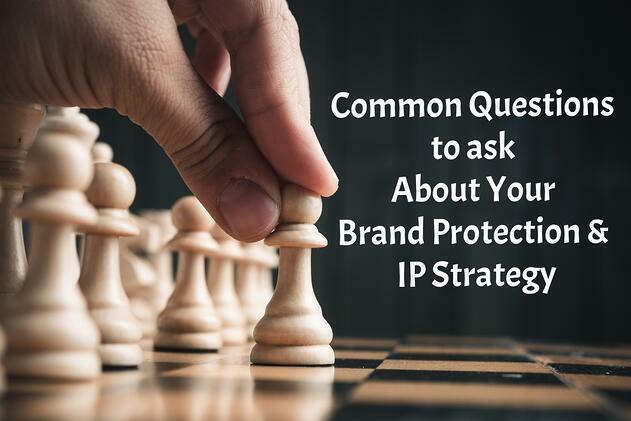 As we said before, it’s more expensive – and risky – to not have some sort of brand protection and IP initiative in motion. While this varies between companies, it’s not as costly as many businesses think. With the right combination of efforts in place, you can be efficient without breaking the bank. Organizations often don’t understand it’s not so much about locking bad guys up as it is enlisting prevention and monitoring measures to deter counterfeiters from being offenders (and repeat offenders). In other words: don’t make it easy for them, and chances are, they’ll move onto another area that will provide them quick cash. It’s not always a guarantee, but being vigilant (consistently so) goes a long way in the brand protection space. How do You Enforce IP? The best way to enforce your IP is to know the extent of ownership your organization holds. That way, you can strike while the iron is hot, and you see that a boundary has been crossed. Have you quantified the valued loss of IP over the last fiscal year? It can be difficult to do so, but it’s a great first step to showing how efforts over time decrease this baseline stat. Also keep in mind if you have a registered trademark in the United States, your right of ownership only extend to those boundaries, as every country handles infringement differently, and has different laws. You can read more about trademark infringement here. Brand protection is about targeting where your company is being misrepresented and shutting down any ill associations with your brand down. Having a 0 tolerance policy is nearly impossible, so if you’re just starting out a brand protection program, be realistic about what expectations are being set. Have a then vs. now idea in place, so you can compare/quantify your success.